Embarrassed in front of the guests? Sick of seeing the same old grubby walkways? Whatever the reason a cleaner fresher healthier carpet will spruce up your home & you can be surprised how much this adds to a general sense of well being – we know – we experience it ourselves everyday, on your faces and on ours! 9.9/10 Average Score from over 180 Reviews! Starting with a FREE no-obligation survey we take a 5 minute look and see what needs to be done. We assess what furniture to be moved, and stains or walkways which need particular attention and how we can get the best results there, the fibre type in the carpet and whether it is a delicate or at risk of shrinkage, all things that can be avoided if spotted in advance and dealt with appropriately. Then we tell you exactly how we would tackle the job, allow you to have your say if you preferred a different approach here or there and if you are happy ask when YOU would like to proceed with the job and take the booking from there. 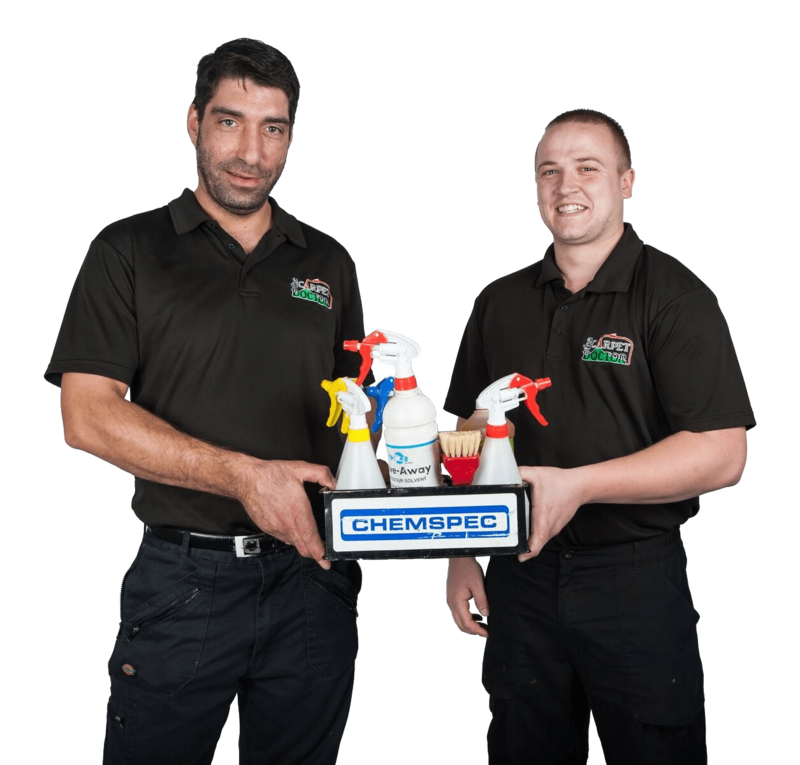 We are not just great Carpet & Upholstery Cleaners. We are genuine caring & polite young men too. You are trusting us within your home and in many cases your elderly relatives home too. Happy to call a relative when dealing with an older person to keep in the loop and informed, no problem. 100% Satisfaction Guarente or your money back! "I have tried a few carpet cleaning services and found The Carpet Doctor to be the best. They can deal with any problem and always provide an excellent all round service!"